Welcome to the Spring edition of my newsletter. Apologies to everyone for being late again with the quarterly newsletter, but I'm happy to assure you there's a good reason for it. Penguin has decided to bring out a new, revised and expanded edition of Animal Heroes in time for Anzac Day next year. All the new material had to be in by the end of September ... and as I only had a couple of months' warning, you can imagine the fingers and the nervous energies have been working overtime. Still, I think the result is worth it. I've added eight new stories, several of which I'd already written in anticipation some time ago. I was able to add a couple of pieces on the explosive detection dogs and the combat assault dogs that have so distinguished themselves in Afghanistan. There are two new mascot stories that I think are very funny ... Willy the pig and his curry dinner deserves a book all of his own. And I took the opportunity to bring a few of the existing tales up to date. You'll be glad to learn that both the mascot crocodile Snappa, and the wedge-tailed eagle Courage have had significant promotions. They're now as high as they can go in the ranks. 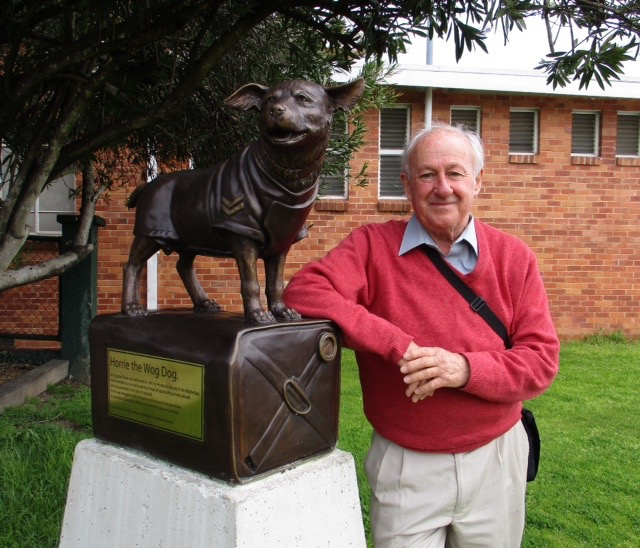 And Horrie the Wog Dog, as you might have read in the press, is now immortalised forever in bronze. The decision by Penguin to bring out the new edition is very welcome to me. The original edition went out of print last year – and I'd been hoping the publisher would see merit in bringing out a new version specifically for the adult market. The original edition did very well in the schools, and in fact had crossed quite widely into the adult readership, as many of my military books have. I saw the evidence for this a few years ago when a woman, who'd already bought a copy of Animal Heroes for her son then serving with the forces in Iraq, came to my market stall buy another. I was curious as to why she wanted two? Did her son like the book? Yes, indeed, she replied. In fact he'd lent it to a colleague who was reading it in a bunk in the Baghdad barracks, when a rocket went through the building. And blew up. Nobody was killed I was extremely glad to hear, but the copy of Animal Heroes was destroyed in the blast. Hence the replacement. I was only too happy to give her a new copy as a gift, as you would for anything lost in action in the middle of a war zone. The new edition is due out in March 2017. More welcome news came a few weeks ago when Penguin advised that the new edition of Young Digger has been reprinted. It was only a small run of a few hundred copies ... but apparently with print-on-demand so cheap these days, the publishers not surprisingly prefer to do it that way rather than have a warehouse stacked with thousands of as-yet unsold titles. Actually my four military books will be reprinted again shortly. For the past two or three years Australia Post has ordered a special run of the main titles for sale in the post offices around Anzac Day. They're going to do it again for 2017. 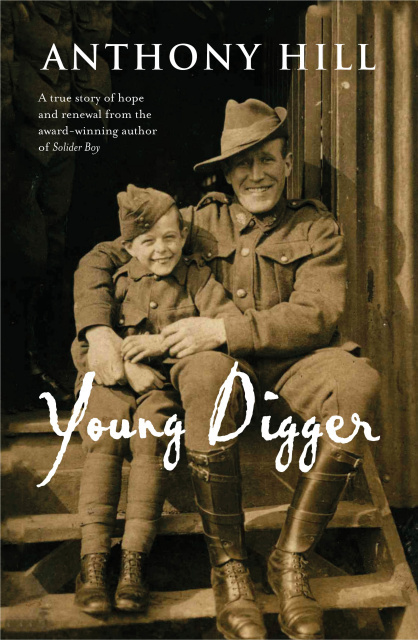 Soldier Boy, Young Digger, Animal Heroes and The Story of Billy Young will all be available through Australia Post at a somewhat cheaper price than the current rrp. 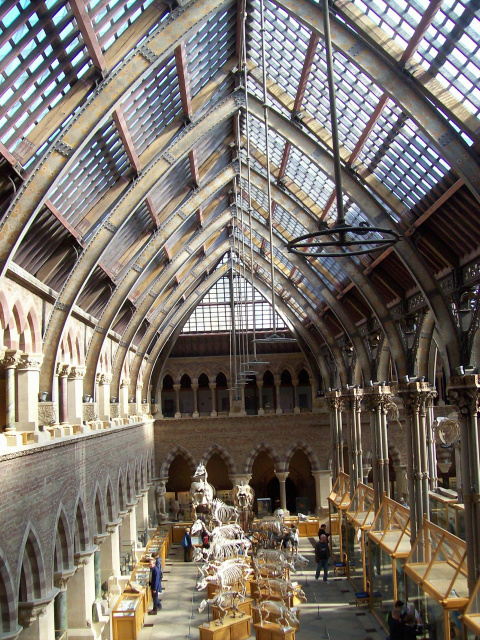 We're still at the Oxford University Museum of Natural History, where previously you may remember we saw the remains of the last known Dodo in its glass case, immortalised by Lewis Carroll in Alice in Wonderland, along with the White Rabbit (and pocket watch). Anyway, to settle down we went for a cup of tea in the little restaurant on the first floor gallery, where you get a wonderful view of the Victorian gothic architecture of the museum and some idea of the breadth of the collection. It was there that we noticed a sign by a door leading off the gallery, informing us that in the lecture room behind, the famous debate on Evolution took place in June 1860 between Bishop Wilberforce of Oxford (often called 'Soapy Sam' for his unctuous manner) and Thomas Huxley, the young scientist and champion of Charles Darwin's theory of evolution by natural selection. Darwin had published his seminal volume On the Origin of Species just seven months earlier. It was one of the most important scientific books ever written – changing our whole view of life and nature – and of course stirred great passion in the scientific and religious communities, as it still does in some places. Darwin himself was too ill to attend the meeting of the British Association for the Advancement of Science that June. But Huxley attended as his champion; and it was during an animated discussion on the theory that he uttered a retort to the bishop that has resonated down the years. The accounts of the exchange differ in the details, but the essence of it remains. Wilberforce is supposed to have sarcastically asked Huxley as to whether he claimed to be descended from a monkey through his grandmother or his grandfather? To which Huxley replied to the effect that he wouldn't be ashamed to have a monkey for an ancestor – but he would be ashamed to be connected to a man who used his great gifts to obscure the truth. Although both sides claimed to have had the best of the debate, it is Huxley's riposte that we remember: and hopefully will continue to iterate every time somebody else tries to silence another by ridicule or invoking conventional opinion in the continuing quest for scientific knowledge. Those of us who have been following the search to find the remains of Captain Cook's ship Endeavour, have had some exciting news in recent months. We knew the ship was one of 13 sunk in 1778 by the British in a channel off Rhode Island to maintain a blockade during the American War of Independence. Now the ABC has reported that US archaeologists working for the Rhode Island Marine Archaeology Project (RIMAP) have discovered documents that narrow the search area down to five possible ships within a 500 square metre area of the sea bed. The RIMAP team will work with specialists at the Australian National Maritime Museum in Sydney to try to identify which particular ship may have been Endeavour. It will be difficult, but it's hoped that perhaps 10 to 15 per cent of the hull will be found intact, although there are years of work ahead yet. Of course, if authenticated, any Endeavour material will remain with the Rhode Island authorities, although eventually, perhaps, some may come out to Sydney on loan. 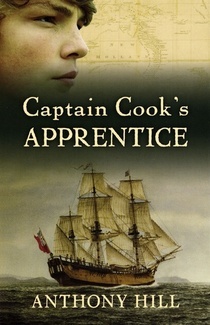 Interestingly, although Cook sighted the entrance to Port Jackson and named it as he sailed with Endeavour north from Botany Bay in May 1770, he never entered Sydney’s harbour which Captain Arthur Phillip, of the First Fleet, was to call the finest in the world, able to shelter a thousand ships of the line in safety. Congratulations to A S Patric who won this year’s prestigious Miles Franklin Award with his first novel Black Rock White City. It was chosen from a short-list of five books which included Hope Farm, by Peggy Frew; Leap by Myfanwy Jones; Salt Creek by Lucy Treloar; and The Natural Way of Things by Charlotte Wood. Congratulations also to the winners and short-listed authors and illustrators in this year’s Children’s Book Council of Australia awards. Older readers:Cloudwish by Fiona Wood. Younger readers: Soon by Morris Gleitzman. Early Childhood: Mr Huff by Anna Walker. Picture Book: Flight illustrated by Armin Greder, text Nadia Wheatley. Information book: Lennie The Legend, Solo to Sydney by Pony, by Stephanie Owen Reeder. For those of you who use Facebook, I’ve recently begun trying to post more regularly on my Facebook site anthony@anthonyhillbooks.It can sometimes be difficult when things get busy – one more self-imposed deadline. But I try to put up something at least once a week. Complimentary bookmark, signature and personal inscription are included. I will refund any excess postage if multiple books are purchased. The Summer newsletter will come out in time for Christmas. Back copies can be seen on the website www.anthonyhillbooks.com. Click ‘Newsletters’ on the side menu.